Sony Pictures Entertainment's movie 'Khali the Killer' is on release in the United States and, as is customary, a trailer has been uploaded to YouTube. However, on closer inspection, it appears that Sony uploaded the entire movie in error. Oops. YouTube is without doubt one of the best places to watch video online. The site is packed with unique content, much of it produced by members of the public, but it’s also populated with plenty of commercial material. 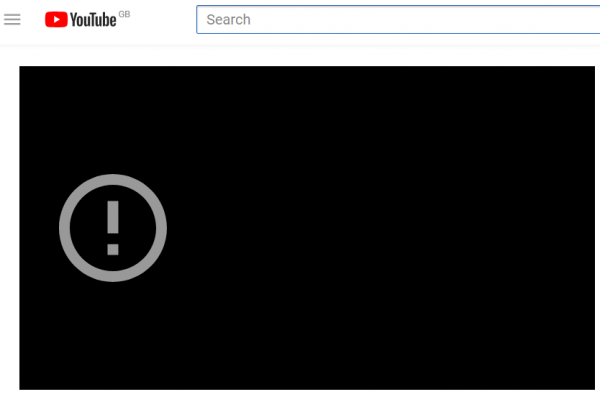 YouTube’s interface obviously lends itself particularly well to the promotion of video content itself, such as movies and TV shows. To this end companies regularly upload teasers and other promotional material, including clips and trailers for upcoming films. Sony Pictures makes use of this feature but today managed to get it all wrong. 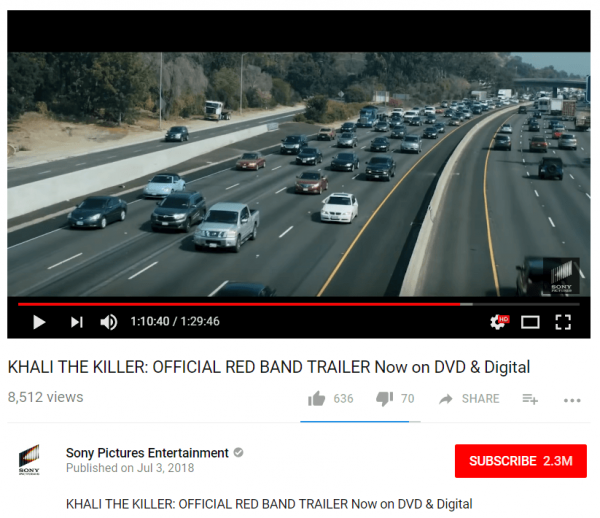 Sometime in the past few hours, somebody at Sony attempted to upload the ‘official red band trailer’ for its upcoming movie Khali the Killer. “After deciding to retire, an East L.A. hit man decides to take one last job to help support his ailing grandmother’s end of life care. 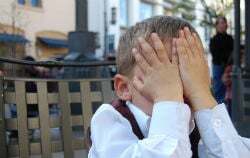 But everything falls apart, when he develops empathy for the targets of his hit, and he’s forced to make the toughest decision of his life,” the movie’s promo blurb reads. The trailer, just 1h 29m long….wait…. We’ve picked a screenshot that doesn’t ruin the plot but as it clearly shows, this is no ordinary trailer. Weighing in at nearly 90 minutes it’s particularly long. In fact, it’s the entire movie – we checked. When we started writing this article the movie had around 8,000 views. Just a few paragraphs later that had swelled to almost 11,000. However, while news may be traveling quickly, those numbers probably won’t reach epic levels anytime soon. The movie has been out in other regions for some time already and if the 3.8 average reviews on iMDb are anything to go by, it’s a bit of a stinker. There are, however, quite a few that suggest that the movie might benefit from the exposure, with a conspiracy theory thrown in here and there for good measure. “Fact that they haven’t taken this down after 6 hours+. I don’t think it’s really ‘accidental’ but rather a smart marketing stunt. Internet is buzzing over a movie which otherwise wouldn’t have gotten this much attention on forums/social-media,” a YouTube user wrote. ﻿Time will tell whether that’s really the case but if it’s not, Sony has a problem on its hands.